Most paddles begin with a honeycomb core that has a surface material (also referred to as the skin or face) glued to both sides of it. These 2 materials determine the COMPLETE BALL RESPONSE OF YOUR PADDLE. After the core and surface are assembled, an edge and handle are attached. It is then finished by wrapping the handle to form your grip. Simple, right? WRONG! The catch is that there are a variety of cores, surfaces, paddle shapes, thicknesses, weights, grip shapes, and grip sizes to choose from. Overwhelmed yet? We sure were when we started learning that there were all these different options and, worse yet, no one was telling us accurate facts about them. That’s how Third Shot Drop began! First, we had to figure out how paddles really worked. Then, we had to sort through the “information” and learn what was correct and how to make it all make sense. The core determines about 75% of the paddle’s performance. The surface is used to fine tune how your paddle responds to the ball. Finishing touches - These choices are what make your paddle fit you and your game precisely. They are customizations that are not generally available in all aspects from most manufacturers. However, it is these factors that will immediately improve your game and help step up your confidence and skill level. Paddle weight – Weights range from 7 ounces to 11 ounces. Although it’s a matter of personal preference, many pros recommend heavier weights for improved balance and control. HOW DO YOU FIGURE OUT WHAT’S BEST FOR YOU? You can order paddles from an online demo program. You’ll be spending money and time and still may not know exactly what is best for you. Also, you will likely not be able to order specific weights, grip shapes and grips sizes. You can borrow paddles from friends. You will possibly have a variety to choose from, but used paddles present their own issues. They may have dead spots, the grip and weight are still not optimal and, if the paddle is older than 8 months, it may be “flat” or “dead” altogether. Without prior experience with these circumstances, you still may not be able to accurately determine what you need to play your best. You just order what everyone else on the court is using because, since it’s popular, it must be good right? Or you pick an arbitrary budget amount? Worst yet, you simply base your decision on a “fluffy” sales piece that has to look good to cover the manufacturer’s marketing expense. Until now, these were pretty much your only choices. UNTIL NOW! We exist to make it possible for you to finally find a paddle that is exactly right for you! Our primary objective is to make it possible for you to decide for yourself what paddle combination suits you most. 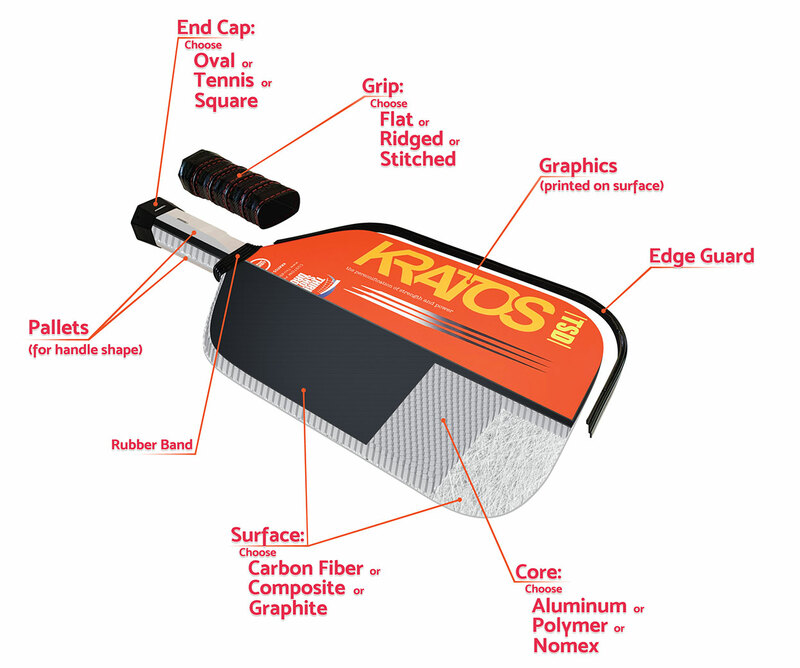 Even if you don’t use our brand, we want to give you the REAL information you need to make an educated, accurate selection in purchasing your most important piece of pickleball equipment. 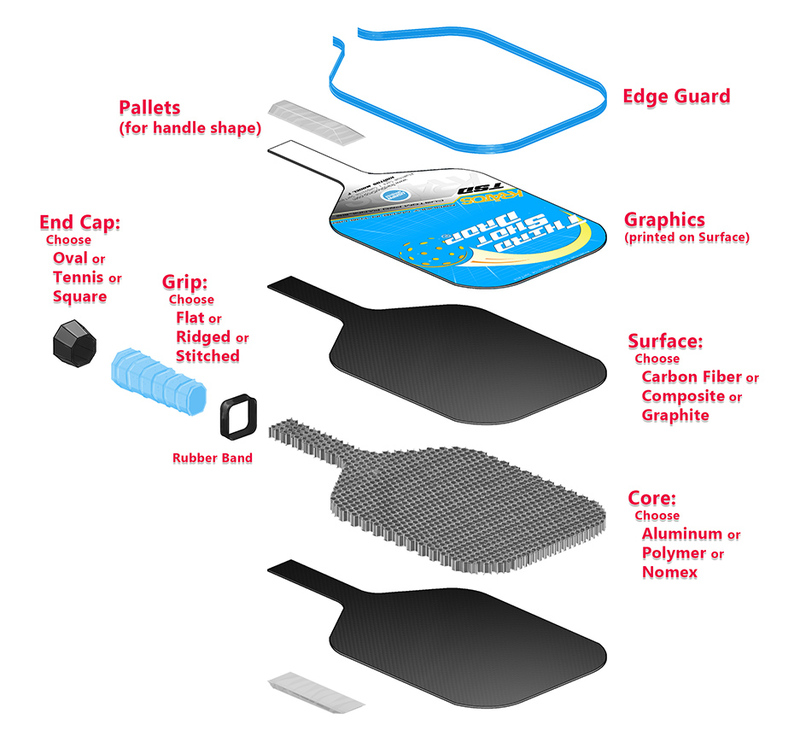 We offer 2 resources that let you try every paddle option to identify your paddle needs. OR, if we aren’t appearing at a court near you anytime soon, you can contact us to find our nearest Court Ambassador. They are all over the country and more are being added regularly. Our Court Ambassadors have paddles they can bring you to try out and maybe even hang out for a game or two. Graphic customization or special order weights must be ordered from the website. SO, now you are armed with the truth about paddles! Hooray for you! You are now ready to get rid of all those “not-so-good guesses” taking space in your bag and replace them with an educated decision that will improve your game, raise your confidence and make your overall pickleball experience even better! Can’t wait to see you on the courts!